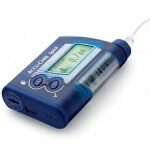 DiabetesHealth – Have You Been Thinking About An Insulin Pump? Do you feel unsure about what to do or how to bring your blood glucose levels down? Are you scared to go out and do things with friends or family because of the fear that diabetes brings you on a daily basis? If you answered yes to any of these questions, then it is time to think about using an insulin pump to control your blood glucose levels.